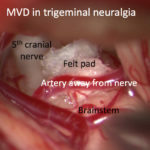 Trigeminal neuralgia, hemifacial spasm, and glossopharyngeal neuralgia are disorders thought to be caused by arteries pressing on cranial nerves as they exit the brainstem. 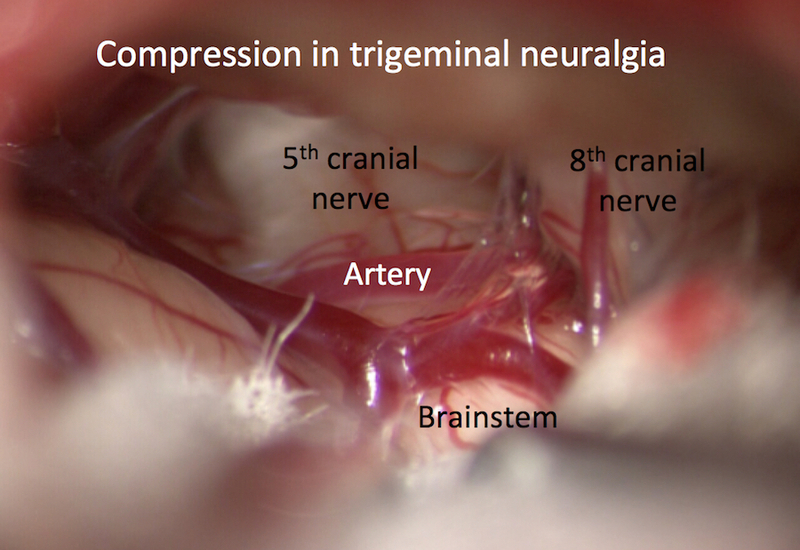 However, it is important to remember that not all hemifacial pain is trigeminal neuralgia. 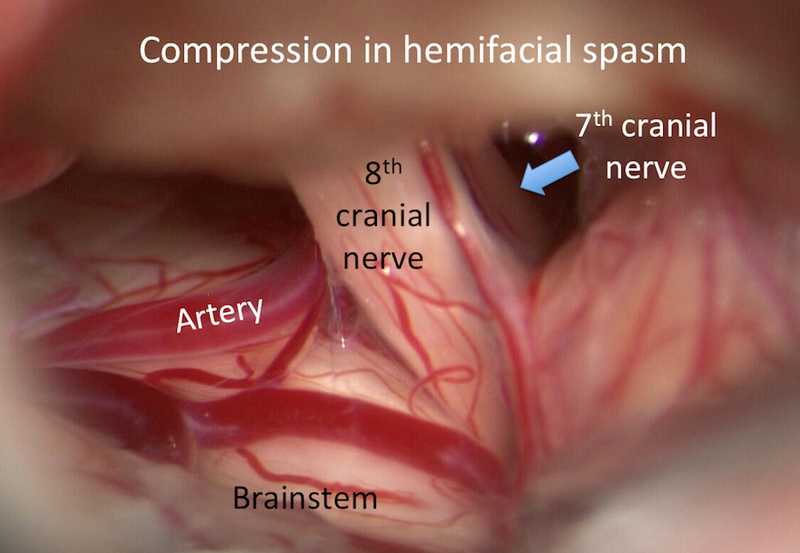 In hemifacial spasm, often a different artery may press on the seventh cranial nerve (facial nerve). This may result in abnormal and uncontrollable spasms of half of the face. 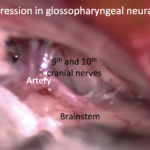 In glossopharyngeal neuralgia, often an even different artery may press on the ninth cranial nerve (glossopharyngeal nerve). This may result in sharp and stabbing pain in the throat radiating from the ear. 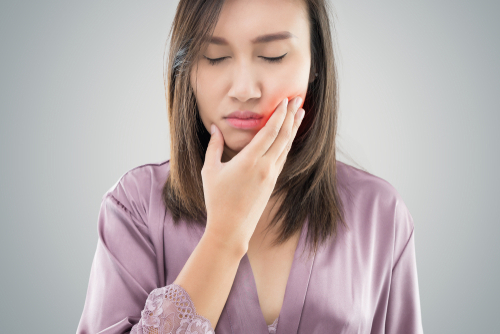 Most often these conditions can be treated conservatively. 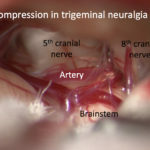 Especially in the case of trigeminal neuralgia, patients commonly try medications, like carbamazepine, which may provide relief. In hemifacial spasm, patients may try botox injections. 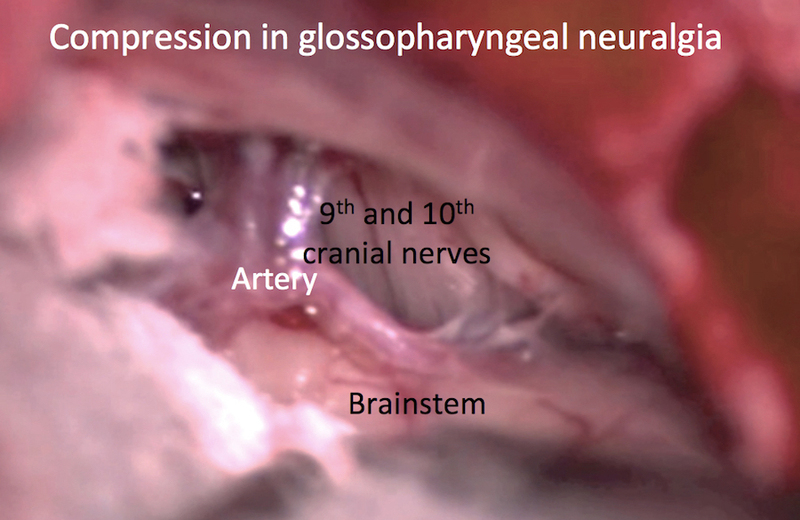 Even in glossopharyngeal neuralgia, nerve blocks may provide relief. Focal radiation is another option to treat some of these conditions. Unfortunately radiation could damage the nerve and lead to additional symptoms. 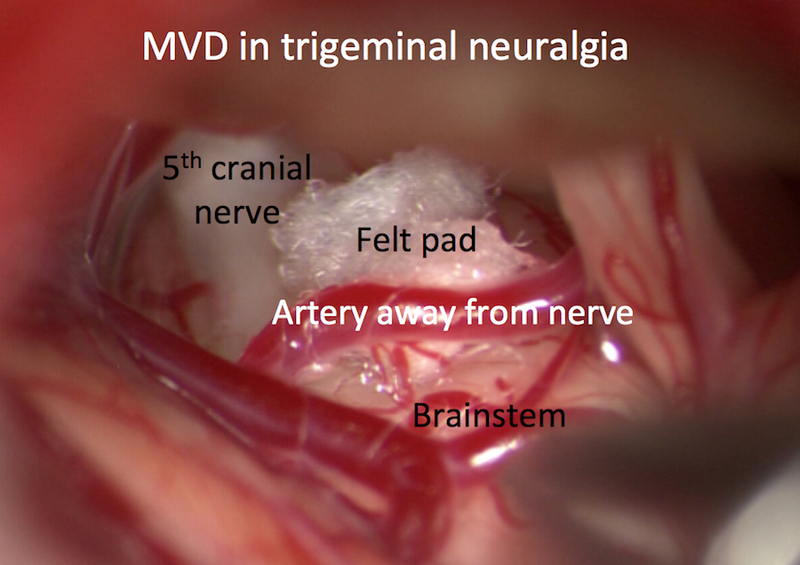 When conservative options fail, microvascular decompression (MVD) is a surgical option. 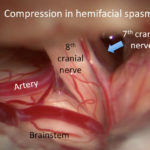 Small pieces of felt may be placed between the compressive artery and the nerve to improve the symptoms. 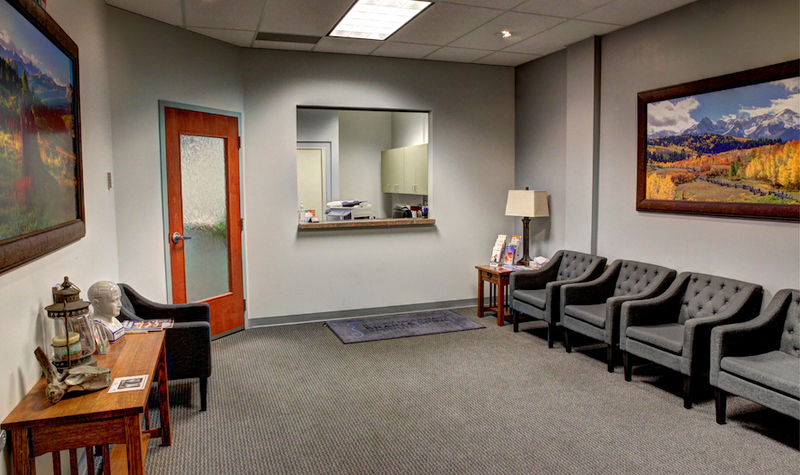 At Rocky Mountain Brain & Spine Institute, we perform microvascular decompression. We are BOARD CERTIFIED.